For those who know me, it’s no secret my obsession with tone on tone. Gasp! 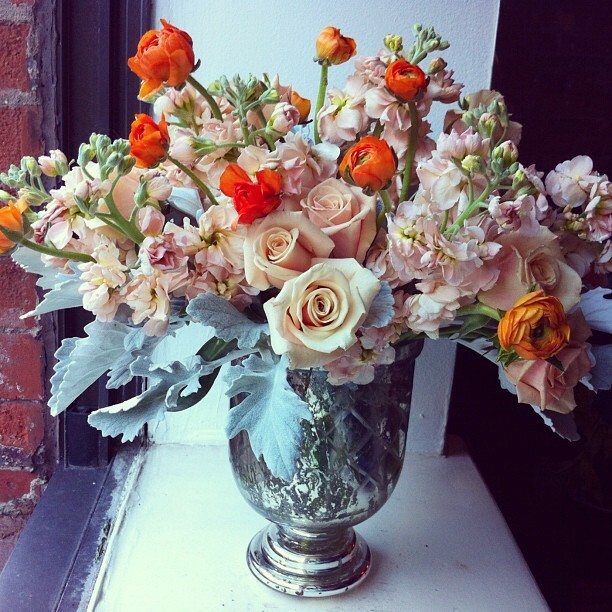 I am especially digging the peachy, orange-y tones lately so put together this little ditty of stock, roses, dusty miller, basil, and ranunculus. I think this will be a wedding go-to from now on. More fleurs on my website!